Spring is here! And that means that we finally get to indulge in fresh strawberries. The only thing I don't appreciate about strawberries is that I feel like I'm throwing away so much when I de-stem them. That's why I absolutely love this quick tip on getting rid of the stem and keeping as much of the actual berry as possible. Enjoy! 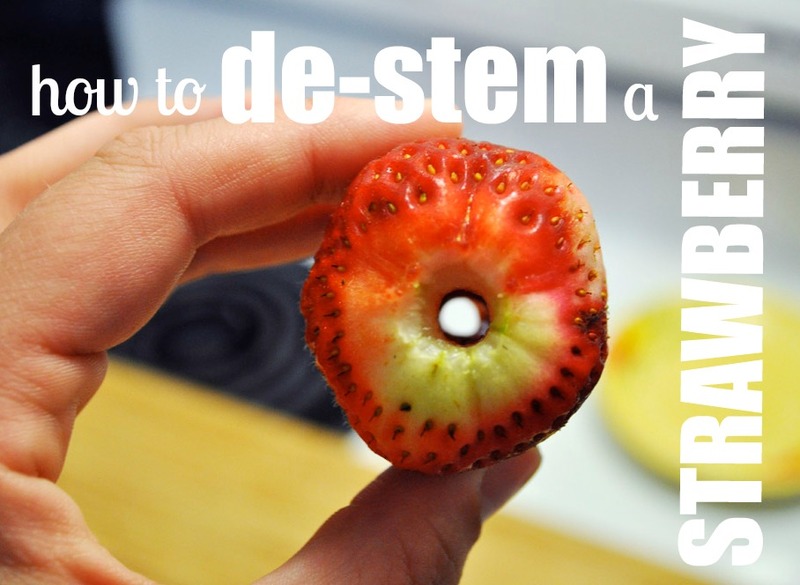 Insert your straw into the base of the strawberry, pushing out the stem at the end. That's it-seriously! Enjoy your de-stemmed strawberries.